"Is there any way to insert PDF files into a Word document?" There might be times you need to embed a PDF file in your Word document and send it to your client. But you might be wondering how to insert your PDF into Word? Luckily, there are few easy ways to add PDF files into a document. MS Word gives you an easy option to insert PDFs, but you might have to take a different approach. 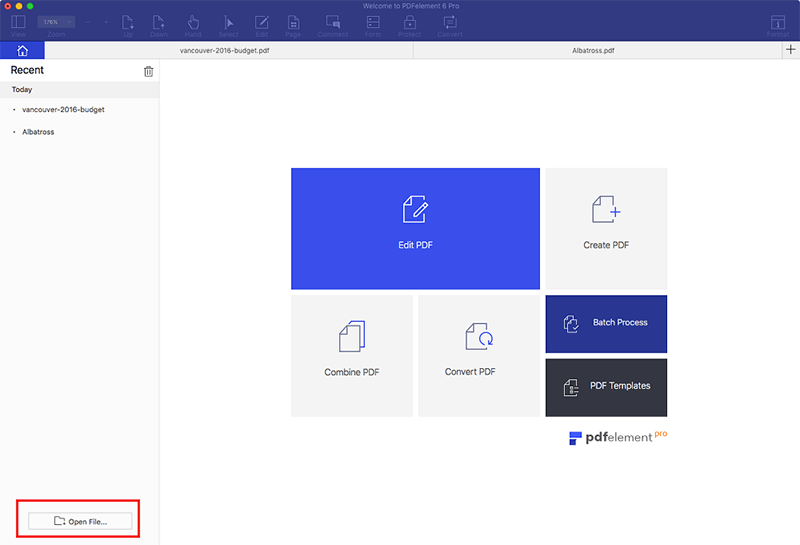 This article will introduce two easy methods for how to insert a PDF into a Word document with PDFelement ProPDFelement Pro. If you don’t want your attached PDF file showing as an icon, you can insert the PDF into Word as an image, showing the thumbnail view directly. 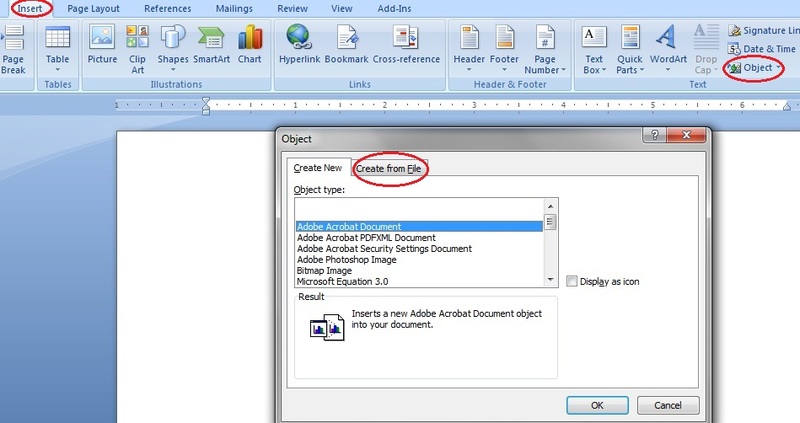 This is the best and easiest way to insert PDF content into a Word document. To attach PDF to Word as image, PDFelement Pro is a great tool. Below are the steps to add PDF to Word and convert PDF to JPG and other image formats. The first step is to launch the PDF editor on your computer and then hit the "Open File" button on the primary window. In the new window, you can add the files you want to convert by clicking the "Add Files" button or via drag and drop. Click the "To Image" icon on the top toolbar as the output format. 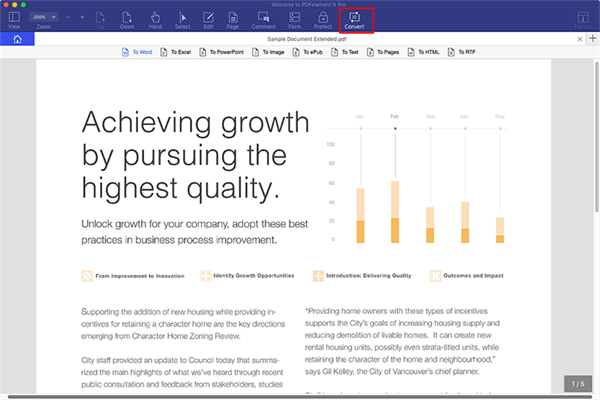 You can freely customize the pages for conversion and turn on the "OCR" button for converting scanned PDFs as well. Finally, click the "Convert" button to start the process of converting a PDF to an image. If necessary, you can edit or annotate your PDF before the PDF to image conversion. 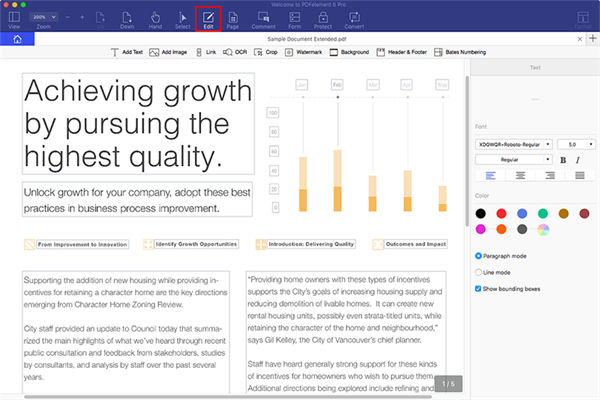 To edit the text and images, you can click the "Edit" button on the top toolbar and then make changes to your document. To edit pages like rotation, split, replace and more, you can click the "Pages" menu. If you want to leave comments or highlight some sections in the PDF, you can click the "Comment" button and choose the options you need. Besides, you can also add links in PDF or sign your file to protect the copyright. After the conversion, you can then open your Word document and insert the converted JPG file into it. 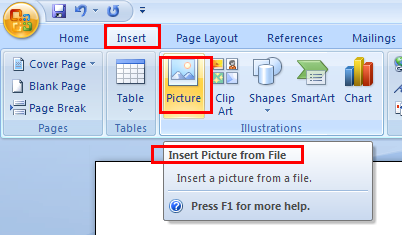 Go to the "Insert" menu, click "Picture", select you PDF's image file and click "Insert". Adjust the images by resizing and positioning them into your document. PDFelement ProPDFelement Pro is fully compatible with macOS 10.14 Mojave and Windows 10. With the help of this smart tool, you can embed PDF into Word or convert the PDF document to many popular image formats such as JPG, PNG, GIF, TIFF, BMP, etc. The quality is maintained, and you can add as many pages you want. 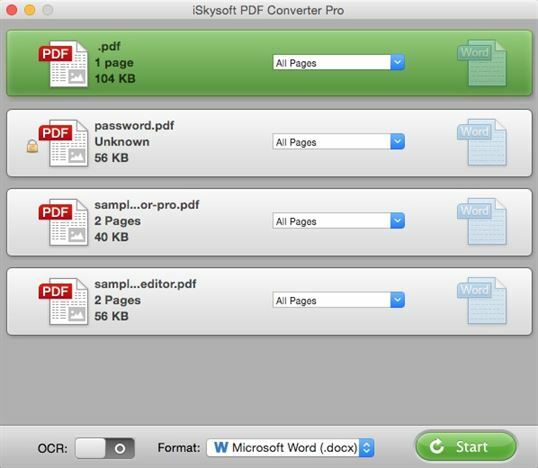 Convert PDF to images, Word, Excel, PPT, EPUB and more formats. Add watermarks, signatures, and passwords to your PDF. 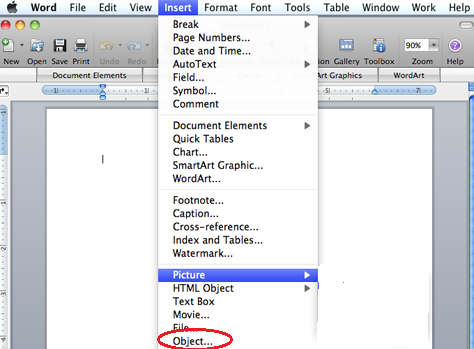 MS Word has option to insert PDF from the same application with option of Object under Insert tab. You cannot edit PDFs in word except in Word 2013, which has included option of editing PDFs. If quality of PDF is fine, then there is no issue in using this method because if you are using compressed files, there is chance the quality may be comprised. Step 1. Go to the "Insert" tab on the main menu. At the far right, there is the "Object" button. Click on it and a dialog box will open. Step 2. Click on the "Create from File" tab. Browse for your PDF file and select the one you want to place. Note: You must remember that this method works only for one page PDF files. If you insert a multipage PDF, only the first page will appear in the document. Step 1. Go to the "Insert" tab and go to the option of "Object". Once the pop up appears, go to the "From File" button at the bottom. Search for your PDF file and open it. Step 2. The good thing about Mac 2011 is that it allows you to select the page you want to insert from a multipage PDF document. You will also have a preview of the page you select. Select the page you want to insert and click "Insert". Note: You cannot edit PDFs after they are inserted into Word. Like images, you can resize or move them around, but you can’t edit the contents. This is one difference between the Mac and Windows versions. Convert PDF to multiple formats in high quality. Batch convert PDF, can be 200+ files at once. Convert password protected PDF files with ease. Convert scanned PDFs with the advanced OCR function.